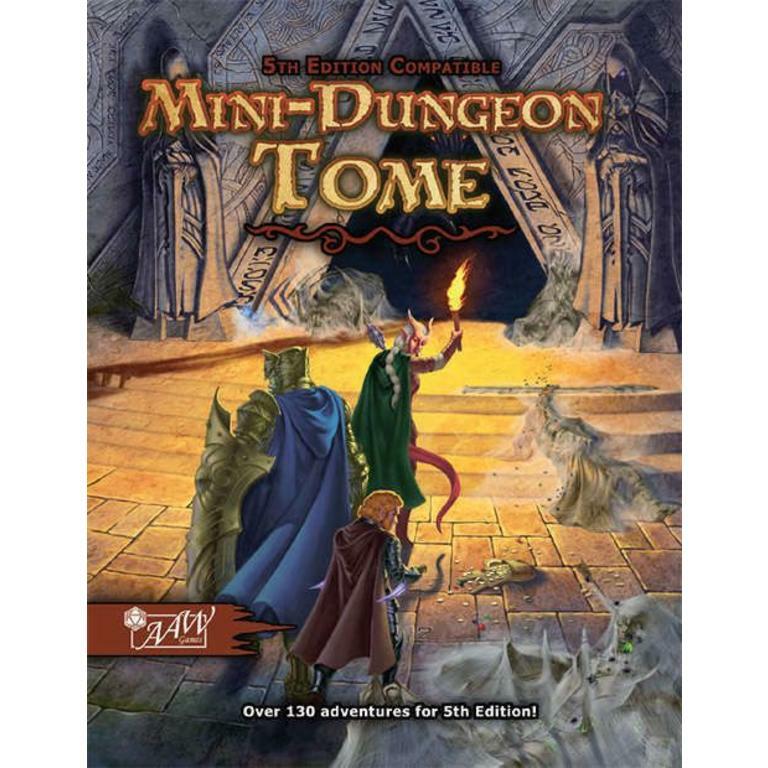 From the depths of the darkest dungeons to primal dangers of the untamed wilderness, this tome binds ancient mysteries, forgotten lore, and the allure of epic quests. Over 130 adventures for Dungeons & Dragons 5e. There is also a Pathfinder compatible version. Adventurers will explore realms unknown, face deadly foes, and discover tantalizing treasures and magnificent artifacts. AAW Games brings you this massive collection of more than 130 complete and ready-to-run scenarios designed especially for discerning Game Masters who want exciting adventures and need them now. Begin the next chapter of your campaign with the turn of a page! Themed and organized for convenience, the Mini-Dungeon Tome provides setting-neutral fantasy adventures suitable for every party level and size. With all reference material included in a convenient index, this single book holds everything you need for years of adventuring. 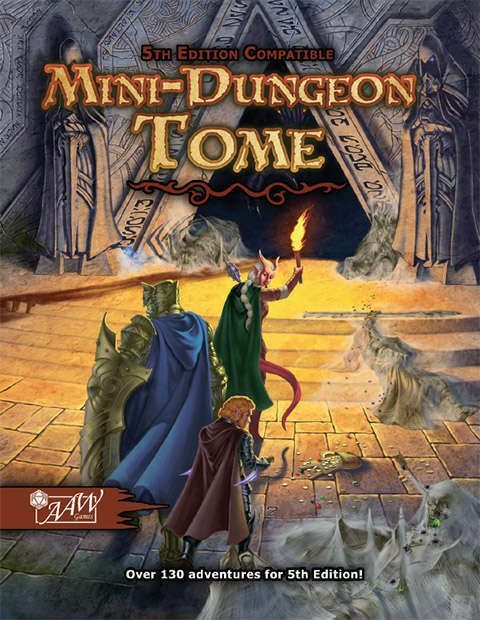 Offering contributions from all-star authors and game designers, Mini-Dungeon Tome is the book you have been searching for. Always have a new adventure at the ready and test the mettle of even the most experienced players!